The Delaware Valley Regional Planning Commission (DVRPC) is currently accepting public comments on the new Transportation Improvement Plan (TIP) for FY 2014. The key project for West Windsor is D0701, which plans for infrastructure changes on Route 571 between Wallace and Clarksville Rd. The plan is written to emphasize the idea of bike/ped improvements, but despite the language, the main “improvement” planned is an increase in the number of traffic lanes to three from two. 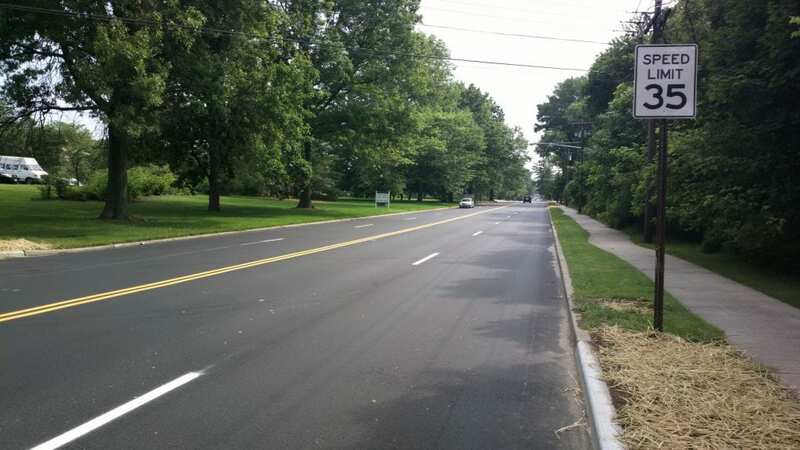 There has not been traffic growth in this portion of Route 571 for the last 10 years, so this capacity increase is both unnecessary and will move away from the “town center” style intended for our main street in West Windsor. You can offer your comments until 6/18/13 on this project and other plans for our region by clicking on the project on the map. The position of the WWBPA is that speeds of 25-30 mph and a main street design will not be enhanced by the planned capacity increase. Instead, maintaining the current two lanes and focusing on increased safety for all road users including pedestrians and bicyclists is a better improvement to advance a town center type corridor. 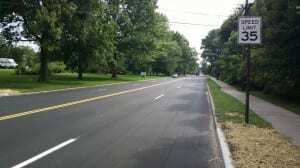 Check out our report with recommendations for improvements to this section of Route 571. Ok, so now that you know what’s at stake for us in the upcoming plan, you might, if you are like me, be wondering: What is the DVRPC, what is a TIP and what does it has to do with planning in Mercer County and West Windsor? Have no fear. Here’s your crash course. The DVRPC is the organization that coordinates transportation infrastructure for our region, including Philadelphia, Camden and Trenton. The counties covered in New Jersey are Burlington, Camden, Gloucester and Mercer, along with Bucks, Chester, Delaware, Montgomery and Philadelphia Counties in PA. The commission is composed of elected officials from the cities and counties in the region as well as state level appointees from the governor’s office, and the DOT. One of the primary roles of the DVRPC is to set out transport priorities via the creation of a Transportation Improvement Plan every four years. The commission updates the TIP annually with input from local, state and federal officials as well as the public. We are currently in the FY2014 update of the 2012-15 plan. Projects start off life as ideas and plans at the municipal, county or state level, where the WWPBA is heavily invested in advocacy for safe, healthy and useful infrastructure for all transportation users. This work helps to ensure that the best plans end up on the TIP. Being listed in the TIP does not guarantee that the project will go forward or be funded, however projects not on the TIP cannot receive federal funding, so it is a critical stepping stone to a project actually getting commitment and getting completed. One of the neat things about the public comments on the TIP for our region is that you can see not only what projects are planned but also the progress on each project and the estimated costs (those are some big numbers!). Very educational. The last chance we have to make the plan the best it can be is at this stage, when a draft TIP has been presented. We encourage everyone to make a comment on what they want in the Route 571 corridor. The links to view the TIP and comment are above, and we will also be discussing this and other advocacy issues at our monthly meeting this Thursday, June 13th. One of WWBPA’s primary goals is to help shape transportation and infrastructure policies, plans and implementation so that our community is the best it can be. Thanks for helping us to make West Windsor a more livable place.